• Darwin is the capital city of Northern Territory Australia. • Darwin sits on a peninsular in Darwin Harbour and sprawls back some 45 klms. • English is spoken with a touch of outback slang. 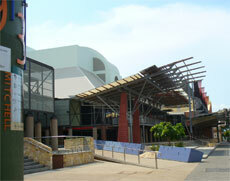 • Located at 93 Mitchell Street, Darwin.Opened by the Administrator of the Northern Territory in 1986 ‘on behalf of the people of Darwin’, the Darwin Entertainment Centre is the premier entertainment and convention venue in the Top End of Australia. Located in the heart of the city in the Mitchell Street entertainment district, the Centre is close to all amenities and easy to access. Mitchell Street located one street back from the The Esplanade and one street over from the Smith Street Mall in Darwin, Northern Territory, Australia. 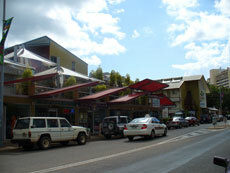 Mitchell Street is currently regarded by the locals as our entertaiment district. Did you know around the late 1980's the entertaiment district was also covering Cavenagh Street and the Top End of Mitchel Street. 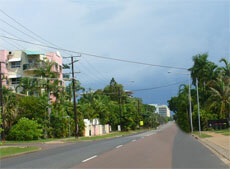 Nowdays it is centred around a 500m stretch of Mitchell Street in the CBD. 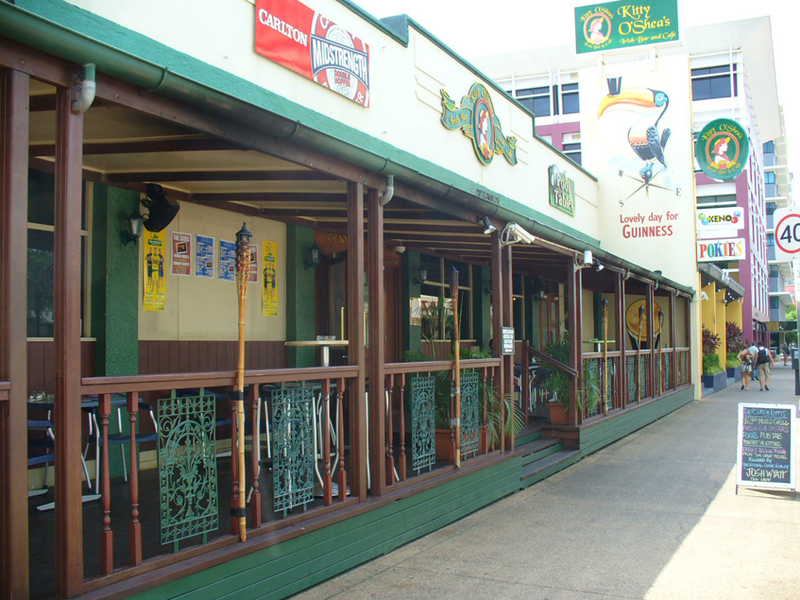 Mitchell Street is regarded as the nightlife centre of Darwin with it's cinema's, sidwalk cafes, open air sidwalk bar's, upmarket restaurant's, 5 Star hotels and quaint Irish, English oh yes and Aussie pubs. We are proud to say Mitchell Street is one our 'clean, proper and peaceful' entertaining areas of Darwin for the friends, groups, family or singles. 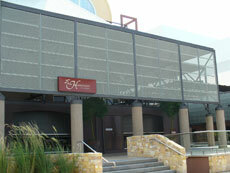 Especially our own Darwin Entertainment Centre. This photo's sums up Mitchell Street's flavour for trend, style and old Darwin charm - The euorpean vista bike outside of the sidewalk cafe nestled in an old style Darwin building. 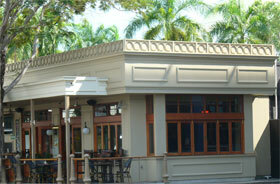 The Hanuman Restaurant has Indian Thai and Nonya cuisine. 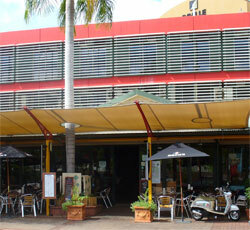 Located Corner The Esplanade & Knuckey Street, Darwin City. Actually it's not in Mitchell Street it's around the corner about 150 metres in Knuckey Street between Mitchell Street and The Esplanade in Darwin. Darwin’s newest fine dining experience located in one of Darwin’s most historical buildings being the Old Admiralty House on the Esplanade (also the old Darwin Club). 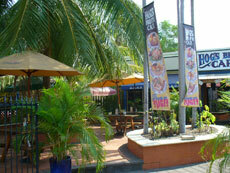 Located at Mitchell Street, Darwin next to the cinema. Situated opposite to Discovery Nightclub. 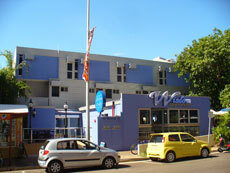 Located at 85 Mitchell Street, Darwin. 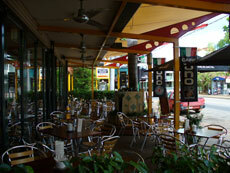 A great place to visit for a wholesome pub-style meal in the heart of Mitchell Street,. The menu has traditional British favourites, such as pies and hearty casseroles. The start of Mitchell Street 3klm down towards Skycity Resort and Casino. 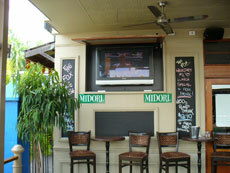 Located on Mitchell Street between Knuckey Street and Shenannigans Irish Pub in Darwin. There are too many to list and recommend. When you there you will find a few at the Mitchell Centre near Knuckey Street and then a row of them opposite the bike hire area and just up from Shenannigans Irish Pub in Darwin. We have been to 5-6 of them and all have met our expectations - now we have created this site I think we will look at bit harder over the feastive season. 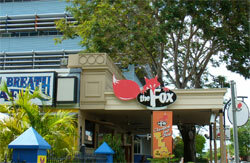 Located at Mitchell Street, Darwin. Make a reservation as we always find a long wait or booked out. They seem to advertise prime beef - so maybe it's your new favourite place. 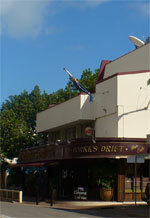 Located at 46 Mitchell Street, Darwin. Actually known as the old Rorkes Drift adjoining the new section above near the corner of Knuckey Street. Monsoons Bar & Restaurant occupies the city's original cinema building, which formerly was O'Rourke's Drift, the venue has been restored and remodelled to create an atmosphere that fuses The Orient with Middle Eastern and Australian charm. 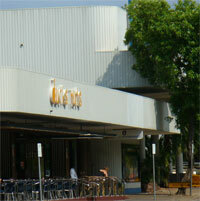 Capable of accommodate upwards of 500 people it has one of the largest entertainment floor spaces in darwin currently. The premises has a relaxed feel but you get the impression from the staff's hussle and bussel it's a tight ship in service. We have been in a few times but haven't eaten there yet. When we do we will let you know. Safety: As most of our clients we find are very responsible with their movements then going out at night with your normal guidleines for safe entertainment will apply. Yes there are some altercations this generally happens at the early hours of 4am in the morning when nightclubs close. We are lucky that our council and local government leaders such as the recently retired chief minister Clare Martin have been paying particular attention to safety on the streets. It was nice the other night to see Clare walking Mitchell Street late at night with the Police Chief inspecting police safety measures on the street. Well done Clare we really respected that. So to all our clients just be sensible and take care. Suggestions - Always as in any city, in any country be careful at ATM machines, try to go with friends, don't leave your drinks unattended, don't leave alone with people you are unsure of and have just met, make sure you don't walk back to your accommodation - get a taxi or walk back earlier in the evening. Police: We maybe are biased but we feel the local police are the friendliest we have ever known around the world. As travel agents we have seen more countries than the entries we put in for tattslotto on a mega draw.